Lorraine Volunteer Fire Company Inc.
We recently had 7 members attend Haz Mat Refresher training at Belleville Fire Station. 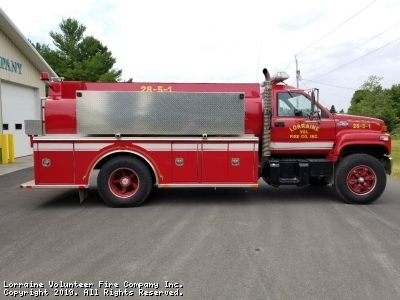 1996 GMC Almonte 2000 Gallon Tanker for Sale. Available this late summer, early fall after new Truck is delivered. Interested parties please contact us. This site has been viewed 97,847 times.